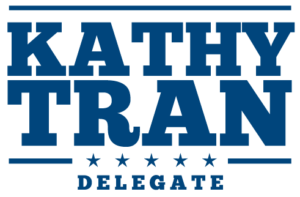 We are having the first canvass launch and phone bank for Delegate Kathy Tran this upcoming Saturday, April 13th, at noon in Fairfax Station! Join us to keep the Blue Wave going, keep the 42nd District blue, and flip the General Assembly! If you have never canvassed before, we can offer training and pair you with a canvassing partner. If you have any questions, feel free to reach out to Rodrigo via email (rodrigo@kathyfordelegate.com) or by phone 703.395.2505.